On the 31st March, ilDance, the Swedish partner organisation in iCoDaCo, is coordinating a unique workshop where professional artists can meet, move and exchange with the international collective of artists. The workshop is suitable for professional dance artists, both performers and makers. 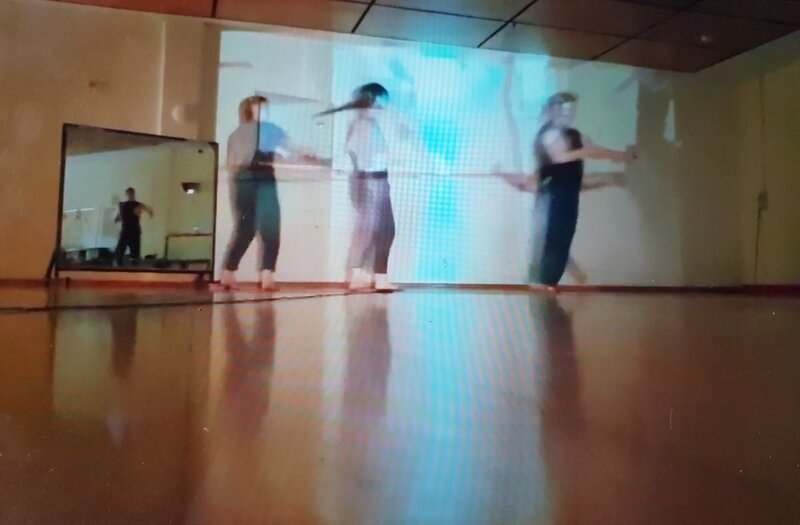 The workshop will include a warm up session followed by sharing and experimenting with an array of movement and choreographic methodologies which have been developed and utilised by iCoDaCo during the collective creation processes of “it will come later”. iCoDaCo is partially supported by the Creative Europe programme of the European Program. Register: vast@danscentrum.se Subject: Workshop It will come later. Members from Danscentreum Väst can participate free of charge. March 2019 is a massive month at ilDance with 2 new premieres; Royal in Härnösand Sweden and My Body My Nation in Bristol, UK, both choreographed by Israel Aloni. Alongside this we embark on the first leg of the international tour of iCoDaCo 2018-2020’s new work it will come later, which kicks off in Sweden. Hampus Bergenheim, the recipient of the OPPORTUNITY IN AUSTRALIA FOR ARTIST BASED IN SWEDEN, a collaboration between ilDance and STRUT Dance in Perth, Australia, has just concluded his three week stay in Perth. Below you can find blog entries and reflections by Hampus from his time in Perth. The questions below each paragraph were formulated as speculative directions to myself in the Master Workshop lead by Jo Lloyd and Anny Mokotow in Perth (AU), the 12th of November – 23rd of November 2018. They were later on posed to stimulate an automatic writing practice to be contextualised by the experiences of my stay in Perth and the exploration on the potential of the indefinite that was present in the moment of writing. A procedure of collecting whatever caught my attention followed, which then took on the function of the stimulant for another session of automatic writing. The procedure of collecting has rendered the writing three times around. From there on, the content has been composed as if it was a dance with a conceptual contingency and a dramaturgy of intensities towards a text that attempts to remain in the potential of what it could be. Hegelians whispers. An end is the beginning. Moving towards until it appears in the past. Resonating as a nourishing ground. To lean into the future is on repeat. I hear a car accelerating. The pitch gets higher. Gears up. The pitch gets higher. What we face is over there. Abiding an agenda to be my landscape. Create purpose. Expose purpose. Which one is it? The purpose aligns with its crusader. No deviations. Adopt the other. Pursue significance. And make it yours. I am approaching what I have not found yet and what I approach transforms within the movement towards it. Consumption culture. Exhausting utility constructs a lack. It is so hard to choose a place to eat. - When things cannot exist for you. Does the becoming attempt to reproduce itself? Material in emergence. An emergency. But don’t shortcut the beach walk that is there to be walked. Collect to collect for the collection. The picture is taken. I considered taking two cups of coffee this morning, being tired and wanting to enable the version of myself that presumably would contribute the most to the coming situation. Striving towards a sensation of validity known as external. The outside of the inside of the outside. A dance of incitements. I am walking the same route every morning. It’s nice because I get to know it. Getting closer to google that bush that smells so interestingly. Looking for glasses. In the light, but they are in the dark. Why? It is too dark in the dark. Or when the charming jacuzzi was about to be prepared for the splendid sensation of bathing to arise. Being with the anticipation. Doing in a trajectory. Feel it. How do we condition for the possibility to do what we want to do? That which is satisfying with beauty. Pictures are taken. The medium of a tourist, and things appear as their stored version. Where to put it? Maybe in a beautiful dance piece. Let’s re-iterate virtuosic attributes whilst being conscious about the risk of re-producing conventional hierarchies. Maybe the convention has more to it. Maybe the convention is an illegible author for the commonness of knowledge. The main patriarch. Reclaim. And the sunshine in my peripheral view is having a duet with a bird singing to my right and beauty appears beautifully. How is it conveyed, performed and contextualized? The act of avoidance is an activity in the roots of polarization and the normative criteria’s are infectious. The guitar string vibrates. Sustain. What if the product is indeterminate in itself? Waking up on the horizon between the figured and the figuring. Domestic procedures, and I greet automatization. This must be the place where the definable come handy. Falling into its own arms, provoking a response. In resistance through an insistence. Freedom is conditioned. And I indulge in the feeling of anonymity, where forms are found in relation to the possibilities in the fluctuating given. I could, depending on the other. It could also be fun. - An open call for the calibration; where’s the suspension between Hampus and non-Hampus? Make a dance piece. Explore the process of commodification to disrupt the alienation of the labour and rather claim ownership from within of what is not already finite. It’s a task. Thinking out loud in a terrain less familiar gives rise to a greater gap between intention and expression. A growing ground for misunderstandings. A stimulus for poetics. Celebration. Listening to my own saying grants me access to an interpretation of its expression, evident for the contextualization’s ability to serve the content. This is constant. That might be called social awareness. But in an environment where the foundation on which I stand is less layered and balances on its own axis, the necessity of checking in with the circumscription of my saying tends to feel more significant. Is it? As the story continues, it is told how such instability is realized in the not-knowing. Realized as not invented nor summoned, but withdrawn from its pre-conscious existence. Enacting ambitions to dismantle normative assumptions through the attempt of communicating in ways that corresponds to the normative lens through which the receiver perceive. Ops. Betray the consolidation. Sustain a mode of being that relies less on the established, without losing depth. To intertwine context and content in production. Worlding (persistently). How do we prepare for performance? The non-expected knowledge asks me how it smells. What shape it has. How I want it to behave. A beginner on the other side runs on the fuel of forgetting. The non-knowledge cannot hurt you and is extremely generous. Like when I got AFL described to me and it reached me before I had time to consider what got described. In retrospect, I could choose whether I knew it or not and maybe I did. It just got spoiled before the knowledge had time to realize its lack or sufficiency. Actions that derive from what might be. Things haven’t granted themselves. We are all guests. Timothy Morton. Have you heard about that person? Touch yourself. Hold your own hand. Which hand is the one that you are touching? Who are you? Karen Barad. I am zoning out as I am listening to the conversation at the table next to me. I can’t hear what they are saying, but I hear that they are saying. I attribute them my doing. I put myself there. I place my ear at the middle of the table, like a meal for their supper. Transcending. They are speaking about a 4 year old, entering, yeah. Not just for itself. It is to be received. Distribute attention. Antennas. But it happened as a consequence. The perception is composed and the accessibility is up for grabs. Places of void to solidify. So where’s the reception to the Art Centre? It is there, at the surface of the content. Made for the centre’s adherence. Another option of itself. A self-embracement. Currently in an inner-city suburb. A non-centred infrastructural other. The place where cafés can be found. This is where you open your café. Facades of windows are fully open, turning the inside out and the outside in. It is becoming more of the representation of itself. And downtown, you will find H&M in the most glorious building. It is the café-as-office phenomenon in the trendy strip of Leederville. Being just as much about clocking into a vibe as it is about having a good coffee. The soundscape is a cluster of different actions, however interlayered, like a cake of oneness. I attended the pride parade yesterday. I was struck by how intensively happy it made me. How the choreography of a manifestation can nourish the differential grounds of identity, dragging repressed personas of oneself as an emancipation of fictional insistence that gives rise to experiences of the realest real. The real-ease. The surrender. The exhale and its fellow friend called joy. I lost it. Forgetting. We look forward to meeting you at the audition. The directors of ilDance will be holding a workshop in Gothenburg for professional dancers together with students of Balettakademien’s dance program. This will be a wonderful opportunity for artists to become more familiar with Aloni and Brummer’s methods and ilDance’s style as well as a chance for students and professionals to work together in the same space and learn from each other. The workshop is free of charge and will take place on the 28th August between 09.00-12.00 at Balettakademien Gothenburg. There are a limited number of spaces available for professional dancers, and places will be given on a first come first served basis. Between the 30th July- 3rd September ilYoung 2018 will be in residency at Glashuset in Gislaved. This will be the last of our 6 week creation process of the new work "Q&A" by Rachel Erdos & Cast. While in Gisalved, ilDance will be offering free participation in open company classes. You can find out more and register for these classes by clicking HERE. Registration is now open for Gaga/people classes in Gothenburg this August! Classes will take place on the 6th, 9th and 21st August at 18.00-19.00 AT Spinnstudion (Järntorget 7, Gothenburg). ilDance’s junior company, ilYoung, tours across Sweden with the new work “Q&A” choreographed by Rachel Erdos and cast. Psychologist Arthur Aron, together with a group of research colleagues published the article "The Experimental Generation of Interpersonal Closeness.”(1977). Aron assembled 36 predefined questions designed for dialogue between two strangers so that they gradually become more and more personal. According to the study, openness to another person and placing oneself in a position of vulnerability develops strong intimacy that will lead to immediate love. Between a talk show and Sunday confession ‘Q&A' shares intimate moments from the performers’ lives and creates an event, more like a sharing than a traditional performance. Ultimately we are all looking for connections with other people. These 36 questions are a way of breaking down barriers and getting to know the individual. If we used this experiment and questions not only to find love but mutual understanding and a connection between people both within the same community and within different communities then we can increase understanding and tolerance. ilDance is delighted to announce a brand new residency opportunity with our partners at STRUT Dance in Perth, Australia. In the second half of 2018, a Swedish based independent artist will be selected to travel to Perth, Australia and offered a creative residency with STRUT Dance. The residency duration will be for a minimum of two weeks, and must be based on the ideas and concepts proposed in the artist’s application (more info below). During this research and development residency, the selected artist will have the possibility to collaborate with and involve local dance artists and embrace and indulge in this opportunity for artistic and cultural exchange. The local dance artists will be invited by our partners at STRUT Dance, based on the ideas and desires of the artist from Sweden. In addition to the residency, the selected artist will have an opportunity to participate in a master workshop with an acclaimed national or international visionary choreographer or their team, through the STRUT Dance master workshops program (find out more HERE). The choice of the particular master workshop will be made in a dialogue between the selected artist and the teams at ilDance and STRUT Dance to fit the timeframe and travel plans of the travelling artist and the activity plan at STRUT Dance. 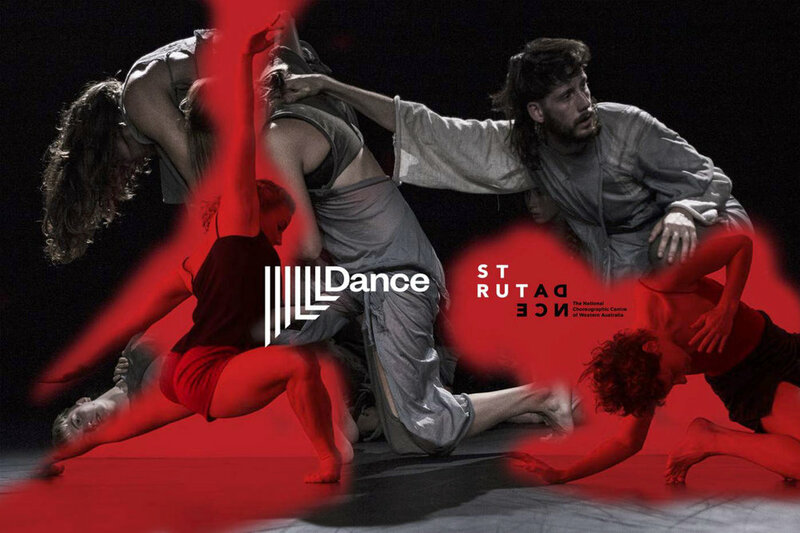 ilDance will cover the costs of the international travel (Sweden-Perth round trip) and accommodation for the residency period will be arranged by our local partners at STRUT Dance. Fees for the Master workshop are also accounted for by the organisers. Please note: The application can be made in writing or by video. Your application must be written or presented in English. Full name, date of birth, home address, e-mail address, telephone number. Concept Proposal for the research and development residency (5000 characters). Links to video of your previous and/or current work which represent your practice and voice as a dance artist. All of the above is mandatory, a partial application will not be valid. You may send the application in a video format in which you will talk and present the points requested above (total video length max 5 min). Links to video of your current and/or previous work which represent your practice and/or voice as a dance artist. Be registered and based in Sweden. Have a minimum of two years professional experience. Understand that all additional costs apart from the mentioned above, will be under the sole responsibility of the travelling artist. *All members of ilDance’s junior dance company, ilYoung, who are based in Sweden are also eligible to apply. I SAY YES by Israel Aloni & cast and 21 (The solution is temporary) by Lee Brummer & Cast premiere in Adelaide, Australia on the 29th November 2017 at Adelaide College of the Arts. For additional information check out the Facebook event. Directors of ilDance Israel Aloni and Lee Brummer are currently in Adelaide, Australia working with the graduating dance students at the Adelaide College of the Arts. Aloni will be creating a new work I SAY YES while Brummer will be reworking The solution is temporary with the cast. The work originally premiered and toured in Sweden earlier this year. I SAY YES is a journey through both the fantasy and the reality of matrimonial ceremonies. What is it in our mind that idealises white weddings? In 2013 Lee Brummer and I collaborated on the creation of a piece called ONCE UPON A HAPPILY EVER AFTER which examined how fairy tales influence the description of what love and marriage are, how we experience relationships as we grow up. Now, I am approaching the notion of marriage again and looking at why most of our societies are so protective of heteronormative marriages and resist the fundamental right of humans to choose to share their lives with whomever has a mutual desire to wed them. I have realised that marriage equality debates are actually more concerned with "wedding equality”. No-one in western societies is asking for the permission of the authorities to share their life with their loved ones. It is more the civil and legal status that our societies seem to deny some people of. Despite remarkable progress in the collective consciousness of western societies in terms of nonconventional family structures, it is still the glorified white wedding that these same societies are so protective of. I SAY YES opposes the protective approach to plasticised weddings and aspires to stretch the realm of what a wedding is and whether individuals need to wed in order to be married.- Israel Aloni. The solution is temporary is a contemporary dance and physical theatre piece which uses text portraying individual personal stories as well as every day matters, moments and memories of a young adult. The work uses two pieces of spoken word poetry written by Doc Luben and Patrick Rouche. It is an episodic piece, with scenes from the two poems divided into smaller stories which all form to create the greater story. The direct referral to the text allows the work to explore personal and revealing moments in relation to weighty subjects such as death, alcoholism and sexual orientation, as well as every day moments and thoughts which pass us by constantly. This October ilDance comes to Bastionen in Malmö and to Martin Mutter in Örebro with a new program: BACK 2 BACK. The program, a captivating double bill of sensorial and powerful contemporary dance, consists of 2 works, Catharses (2014) by Israel Aloni and An I for an I (2016) by Lee Brummer, which will be performed back to back by a brilliant cast. 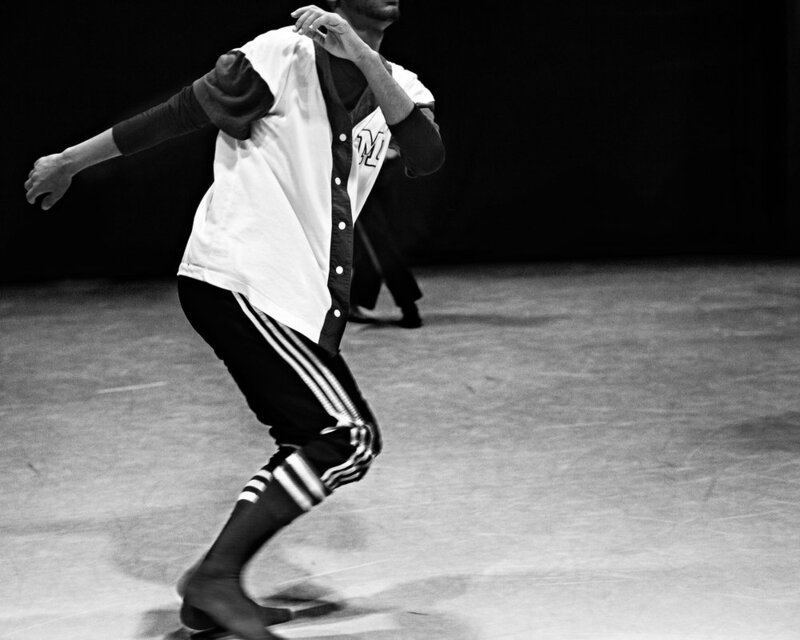 1) Since ilDance was founded in 2012, the company has worked in 12 out of 21 regions in Sweden. In the summer of 2017, we will be working in Jönköping & Östergötland two regions which we have not worked in before. 2) In it’s five years of existence, ilDance has initiated and/or participated in projects and activities in 17 different countries. ilDance’s international activity will continue to expand over the next couple of years and we are already set to work in 2 new countries in 2018. 3) ilDance initiated and operates a junior company called ilYoung. The junior company operates on a pioneer and hybrid model which was specifically designed by ilDance’s directors Israel Aloni and Lee Brummer. 4) ilDance hosts local and international artists in residencies in Sweden in collaboration with partners and collaborators across the country. 5) ilDance has an advisory board which consist of brilliant and experienced individuals from the contemporary performing arts sector in Sweden and abroad. 7) As a core value, ilDance promotes transparency and inclusion of non dancer audiences in the making and rehearsing processes of contemporary dance. 8) The directors of ilDance, Aloni and Brummer, have an ongoing relationship and collaboration with partners and organisations in Australia. Due to this the two choreographers travel to Australia two or three times a year for a variety of activities which include choreographing, mentoring and teaching across Australia. 9) ilDance is also the Official Swedish Gaga branch. After years of working closely with the Gaga movement Ltd head office in Tel Aviv, ilDance developed to also become the first official Gaga branch of it’s kind. 10) Though ilDance is based in Gothenburg our outreach is vast and we both initiate and participate in exciting projects locally, nationally and internationally. 11) Our directors, Aloni and Brummer, have each been developing their choreographic practice on two different routes. Beyond establishing a joined method, they each also have their independent paths which differ from one another in context, form and structure. We believe that it is both the similarities and the differences between Aloni and Brummer’s independent practices that make ilDance and their collaborative work so powerful. 12) ilDance in formed on a coherent structure with 5 strands: New productions of contemporary dance, ilYoung - ilDance’s Junior Company, iCoDaCo - International Contemporary Dance Collective, ilEX Sweden-Australia & The Swedish Gaga Branch. 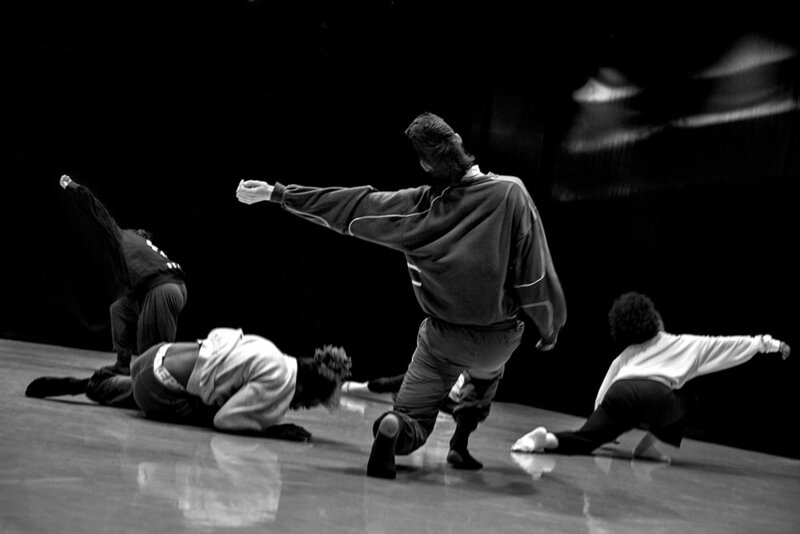 13) The directors of ilDance work closely with emerging artists who are at the dawn of their career. 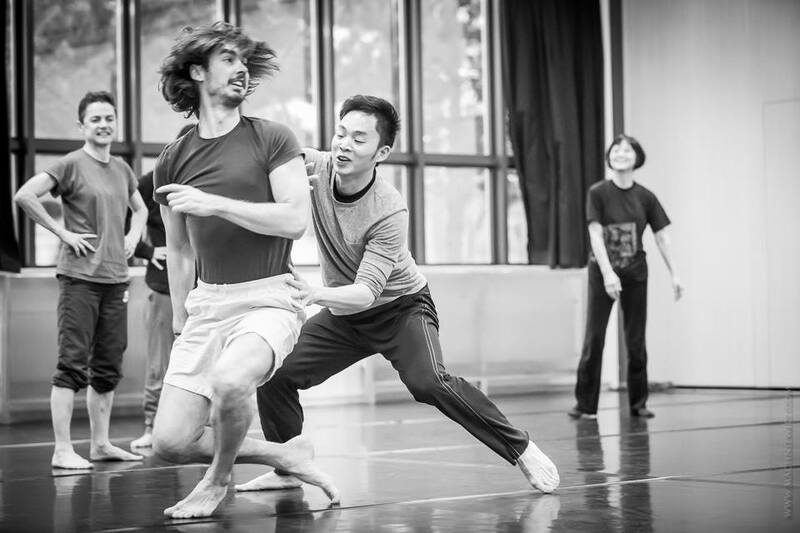 Brummer and Aloni mentor both dancers and young makers through their processes and development as choreographers and performers. 14) In 2015 ilDance went through a restructuring and rebranding process in collaboration with Swedish and international consultants. ilDance’s current website is designed by Gordon Bevridge and allows our visitors and users to conveniently and easily navigate their way around the site. 15) Our directors Israel Aloni and Lee Brummer first met when they were 15 years old. Ever since then their lives have intertwined in various ways routed in personal friendship and later developing into an artistic partnership. ilDance is initiating an afterwork gathering specially and specifically arranged for principles and high school teachers who are working in Gothenburg. This event will help one experience and learn more about Gaga Movement language. ilDance is constructing a pilot project which will introduce high school students in Gothenburg to Gaga movement language through participation in classes. The pilot project is the first step towards structuring a program which is the first of it’s kind. This program will include the sensational Gaga movement language as ongoing activity as part of the high school curriculum. We aspire to introduce Gaga into the education system in high schools as it would offer a rare form of physical activity, cognitive stimulant, body-brain connection enhancement, social equality and acceptance experience, liberation of creativity as well as a community feeling within the participating groups. No previous experience or knowledge about dance is necessary prior to participation in a Gaga class. Gaga is a movement language developed by Ohad Naharin, the artistic director and choreographer of Batsheva Dance Company. Wishing all our friends and followers a glorious holiday season, whatever it is that you are celebrating and wherever in the world you are celebrating it. We hope it's a wonderful end to 2016 and a beautiful start to 2017! May a fruitful year full of adventures await us all! Both directors of ilDance, Israel Aloni & Lee Brummer, were awarded scholarships from KATZ to continue to generate and further indulge in ilDance's international activities and to collaborate with independent artists and organisations beyond borders. Aloni and Brummer are both very thankful for the recognition of the work that we at ilDance do and for KATZ's choice to support our upcoming projects. Israel Aloni and Lee Brummer, directors of ilDance are more than delighted to announce that they will be joining Adam Wheeler, director of Melbourne based junior company Yellow Wheel for a summer intensive which is going to rock BIG TIME between the 9th-13th January 2017. The summer intensive, a collaboration between ilDance, Yellow wheel and The Space Dance & Arts centre, will include two optional paths: The first for dancers, will focus on physical training, repertoire and becoming familiar with Aloni and Brummer's individual methods and styles. The second path is aimed at Dance educators and will involve methodology, the practise of teaching, the viewing of classes and feedback sessions, as well as physical classes and workshops with insight into the methods of the two choreographers and performers Lee Brummer and Israel Aloni. Israel And Lee are very much looking forward to meeting young talents, practising performers and educators for this inspiring, fruitful and exciting week which will take place at Sign up now because your not going to want to miss it! November is here which means It's soon time for the world premier of BABULUS, A new work by iCoDaCo. This new dance theatre work, presented in the round in various spaces, town halls, theatres and galleries asks what happens when our means of communicating is taken away from us. It questions what we would do when we have no words to hide behind. It explores censorship and self censorship. In BAUBLUS the audience is situated close to the performance space and are included and acknowledged by the occurrences in the performance. Babulus is presented in collaboration with Gothenburg Dance and Theatre Festival and will premier at Stora teatern in Gothenburg on the 22nd of November at 19.00. Spend the day with the international artists and additional experts to experiment and research the concept of communication. The day will include showing selected segments from the work BABULUS, participating in interactive workshops with the iCoDaCo artists and intercultural communicaiton expert - Kajsa Svensson, as well as participating in a public discussion about communication and its significance in our world today. Read more or buy tickets HERE. On the 24th of November at 19.30 ilDance, in collaboration with Danscentrum Gothenburg and theatre maker Birte Niedenhaus, will hold a symposium about communication & performing arts at Danscentrum Gothenburg’s studio. You can REGISTER HERE to take part in the activity. After the WORLD PREMIER of BABULUS, the international artists of iCoDaCo will meet and interact with the public in Gothenburg via a number of sattelite events and activities in the city. On the 23rd November, there will be a rare opportunity to spend 5 hours with the international artists and additional experts to experiement and research the concept of communication. The day will include showing selected segments from the work BABULUS, participating in interactive workshops with the iCoDaCo artists and intercultural communicaiton expert - Kajsa Svensson, as well as participating in a public discussion about communication and its significance in our world today. BABULUS is co-produced by Göteborgs Dans -och Teaterfestival. Aug 16, 2017 BACK 2 BACK on tour this October! Apr 22, 2017 Israel Aloni teaching at the choreographic centre in Krakow, Poland.